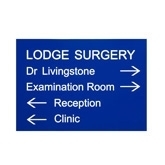 Wall Signs are ideal for a number of uses: Directional signs in large offices, schools and doctors surgeries providing clear instructions how to reach the designated area. Floor indicators for outside of lifts and on stairways. Multi company directory signs in reception areas showing which area the company is situated. 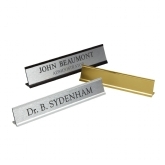 Signs for outside of offices can be branded with company logos or engraved with plain simple text. 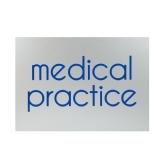 We can also incorporate regulatory professional body logos for all industries. Door Signs are tailor made to suit your requirements be it a single sign for an office door or multiple door signs for larger companies. We can also supply signs to identify classrooms in schools, colleges and universities. Each sign is manufactured using an extensive range of plastics and metals and a mixture of traditional and modern engraving methods. Logos can easily be incorporated into any of the signs and having a wide range of fonts to choose from the options are endless. You can provide us with artwork to ensure that your brand is replicated exactly. All Signs provided can be pre drilled with fixing holes or supplied with a self adhesive backing. 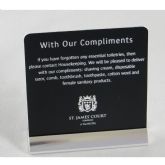 Desk Signs can be manufactured using free standing holders and interchangeable inserts, more details can be found under the Interchangeable sign section on our website. We can also supply crystal glass desk plates which are lazer engraved and would suit a modern office environment. For the hotel, restaurant and hospitality industry we can supply a variety of wall, door and free standing signs detailling instructions on the use of facilities, table numbers, smoking policy and many others.